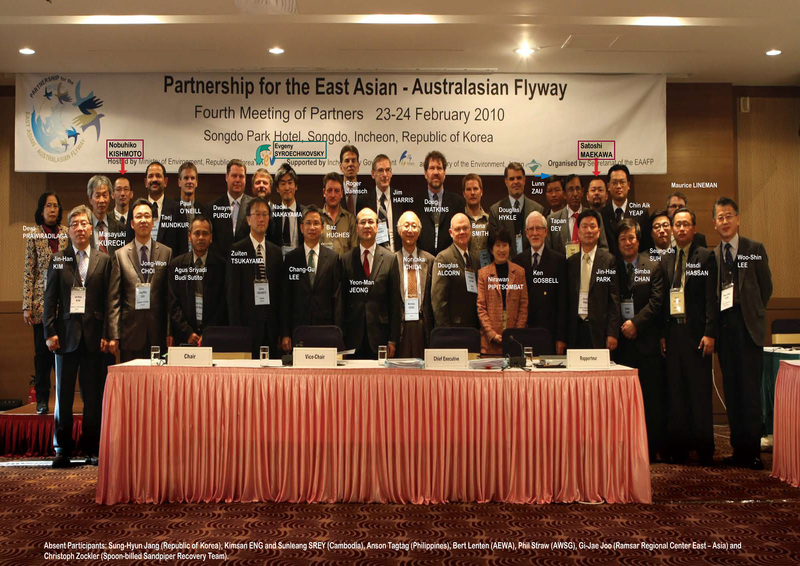 Partner Representatives at the Fourth Meeting of Partners, February 2010. © 2010 Partnership for EAAF. 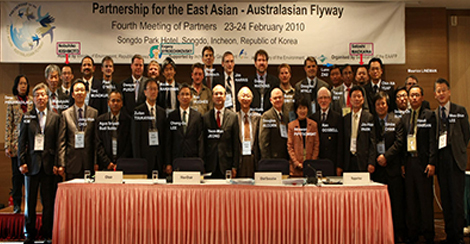 The Fourth Meeting of Partners (MOP4) of the East Asian – Australasian Flyway Partnership was held in Songdo, Republic of Korea, 23-24 February 2010. Seventy-four delegates including Partners and Potential Partners from eleven governments, two intergovernmental organizations, six international NGOs and several Korean provincial governments and NGOs participated in the meeting. The draft Report (Minutes) of the Fourth Meeting can be downloaded from the link below.